Hello and Happy Friday, my friends. In addition to the challenges One Monthly Goal and 17 UFOs in 2017, I am participating in two new sew-alongs this year. 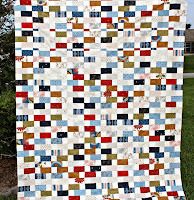 The first is a Farm Girl Group hosted by Dawn at Sew You Quilt 2. My blog friend Julierose encouraged me to join and I’m so happy she did. 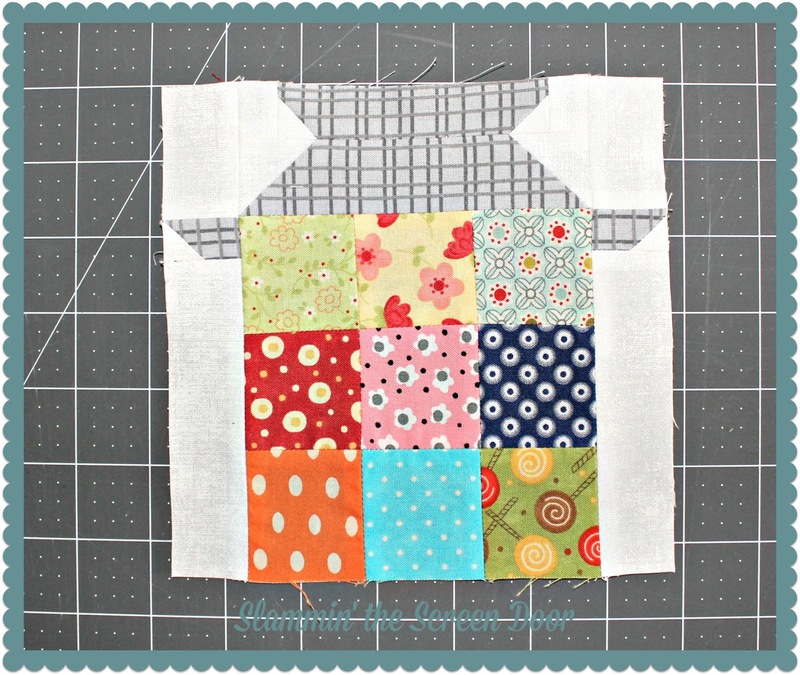 The purpose is to finish the blocks from Lori Holt’s Farm Girl Vintage book. This project is also on my 17 UFOs in 2017 list, so it is nice to have the ‘extra’ encouragement. Dawn announces two blocks per month that the group will complete, if they haven’t already. Participants can also make extra blocks if they wish. I love the flexibility with this sew-along…no pressure, just fun. January’s blocks were Milking Day and a Cow. The Cow block is not part of the book and I don’t think - at least right now - that I want that one in my quilt so I skipped it. 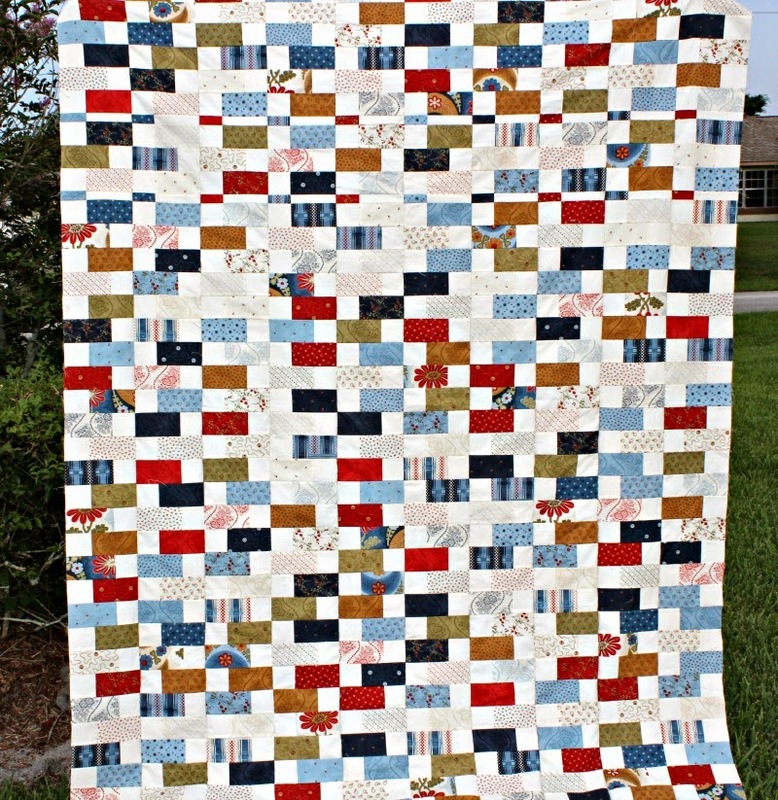 Here is my Milking Day block. 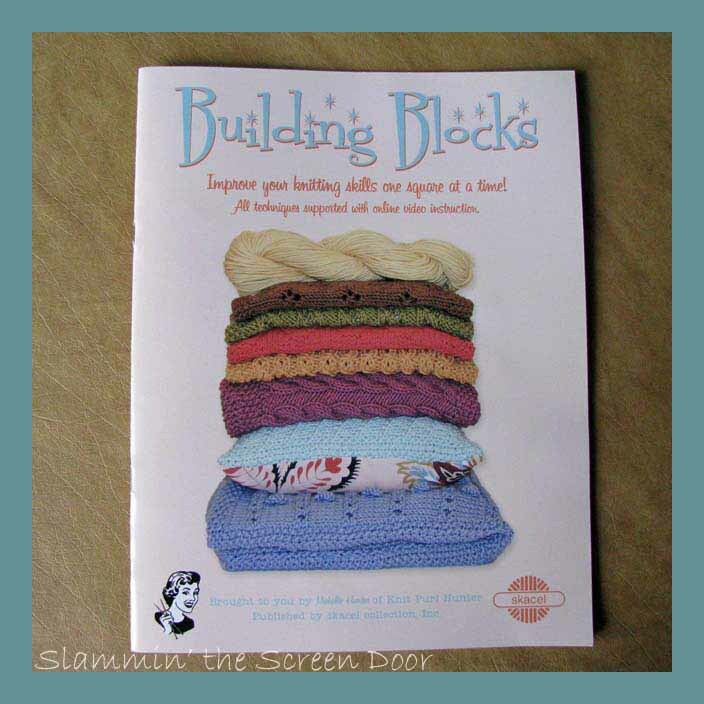 I made this one when I started Lori’s sew-along in 2015. 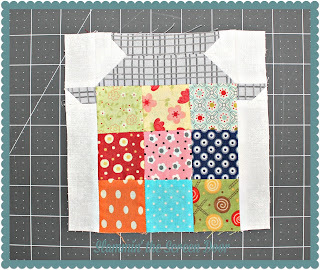 I’ll be starting next month’s blocks soon which are Scrappy Strawberry and Patchwork Pumpkin. 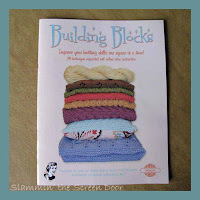 The second sew-along I am participating in is a block of the month hosted by Sherri at A Quilting Life. She posts a new block pattern on the 5th of each month. 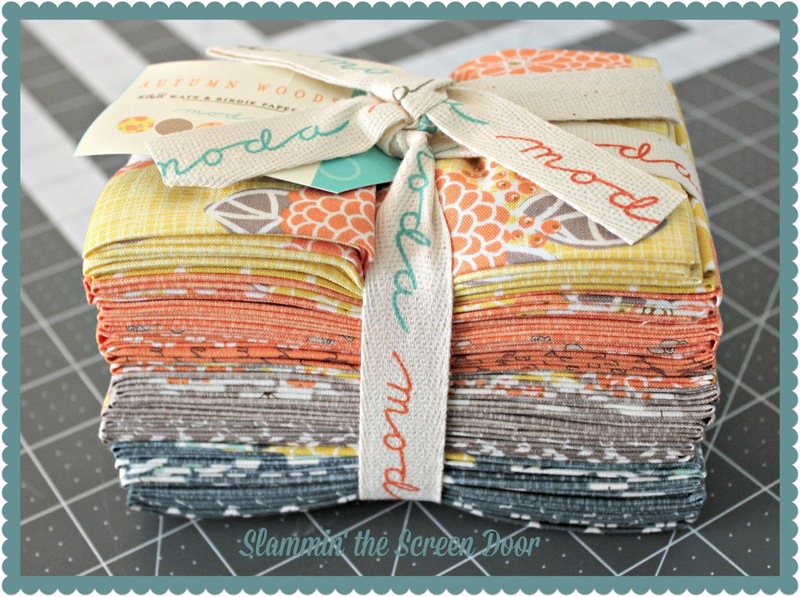 I’ll be using a fat-eighth bundle of Autumn Woods by Kate & Birdie for Moda. Here is my January block. 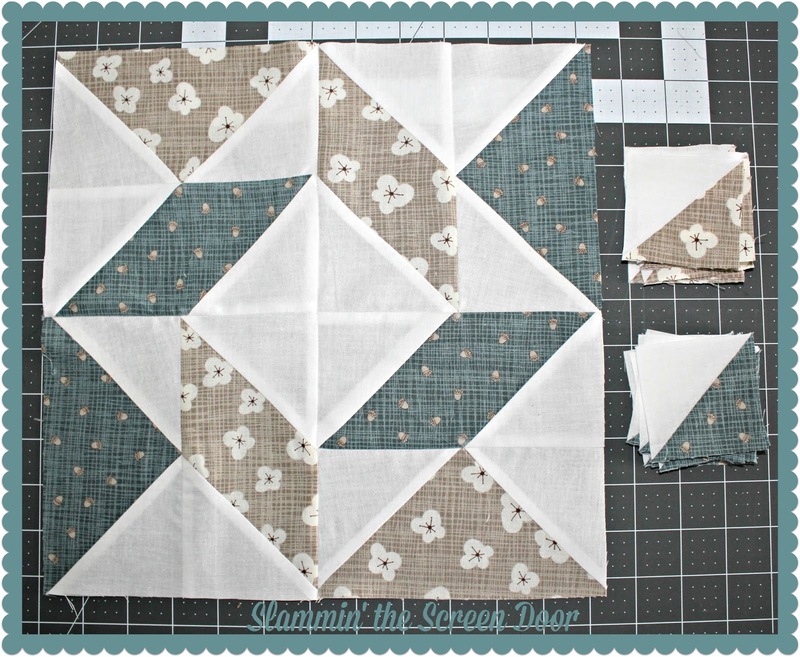 You can find Sherri’s instructions for this one by clicking here. January is shaping up as a successful month for me. You can read about my OMG accomplishment here. I’ll be sharing my 17 UFOs in 2017 progress next week. My first OMG and it is a success! Albeit a small finish but a finish nonetheless. This mini valentine table topper was started in 2015 when Linda from Stitch Lines visited her good friend in south Florida. Her friend happens to have a winter home very near me so I was fortunate enough to meet a blog friend in person. Linda is the queen of miniatures and after spending some time with her I was inspired to give it a try. She showed me how to use Thangles and gave me some great pointers. Armed with some Kiss Kiss by Abi Hall for Moda and some Bella solids, I made my first attempt. In spite of all her efforts, I made some mistakes but I did learn from them. 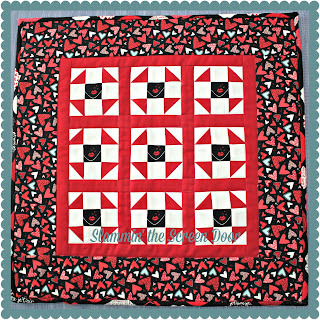 So, I am happy to say that I dusted off the kissy faces and finished my table topper for January’s OMG. 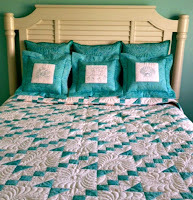 Please visit Elm Street Quilts One Monthly Goal January Linkup to see what others accomplished this month. You can visit Linda by clicking here. Thank you Linda, I hope you come back to south Florida soon! Good day, my friends. As I mentioned yesterday, I am on mission to bust some UFOs in 2017. 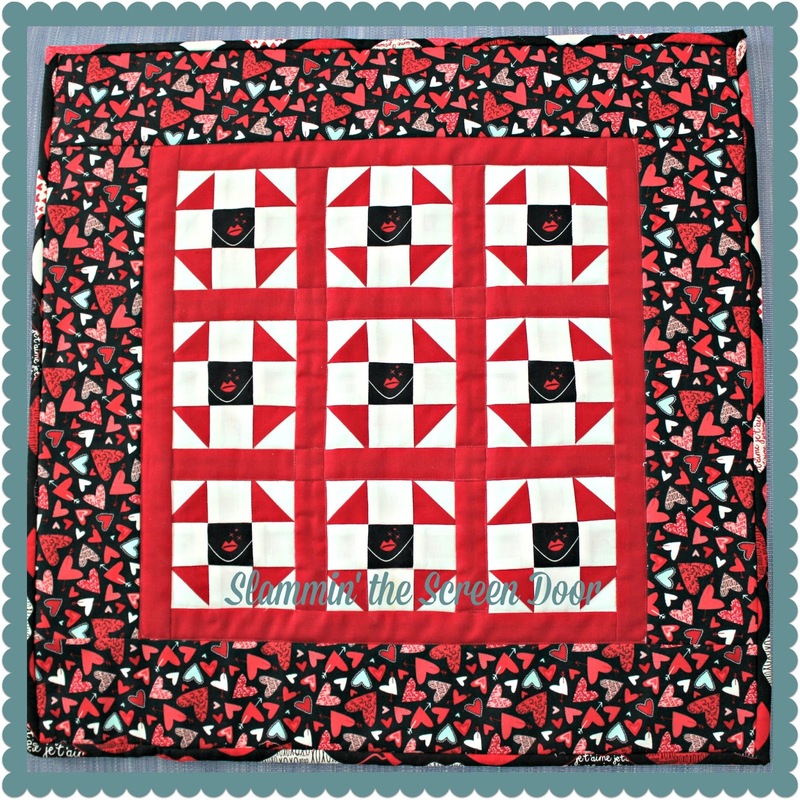 Not only am I participating in Elm Street Quilts One Monthly Goal, I am also joining Meredithe’s 17 UFOs in 2017 Challenge at pomegranate and chintz. The reason I love this challenge is because the participants are encouraged to at least make PROGRESS on their projects…no pressure to FINISH. In my opinion, if you are making progress then a finish is inevitable. Unless you fall out of love with the project. I have one of those UFOs that I am not sure I love enough to keep it going…we shall see. 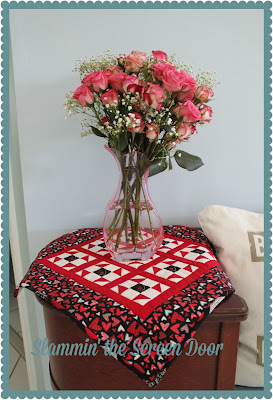 Sewing Machine Cover – I don’t love piping! Just because I am busting UFOs this year doesn’t mean I won’t start something new… I’m sure that I will but the UFOs take priority. 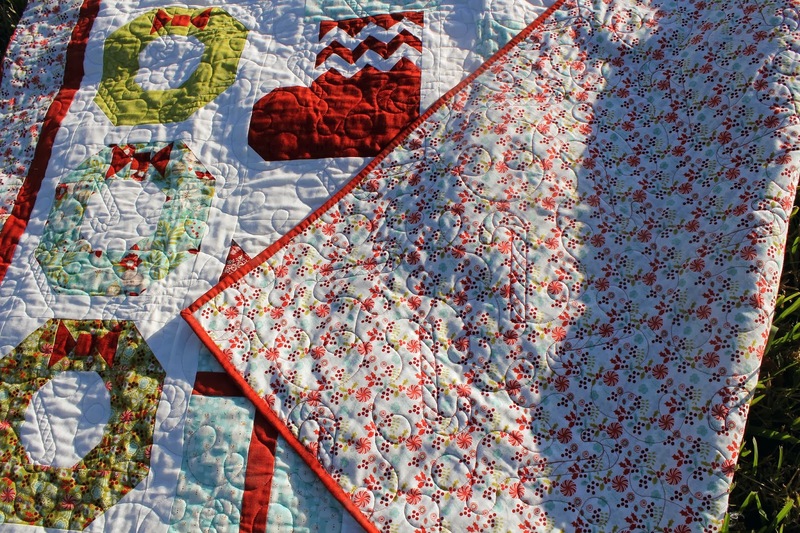 Are you joining any challenges, BOMs or other sew-alongs this year? If so, let me know and I’ll follow your progress. We can encourage each other! Happy New Year my crafty friends. I truly hope that you all had a wonderful holiday season and that 2017 is going to be happy, healthy and prosperous for you. My Navy son is home for the new year. He returns to Japan on January 14th so I’m not spending very much time being creative but I am having a great time with him here. I have so much to share with you but I’m not going to do it in just one post. I owe you an update on some things from the last post…waaaay back in November. YEESH! But today I want to share about my plans for 2017. I’m not one to make resolutions and I haven’t had much success over the last couple of years on my personal goals. This year, though, I am turning things around. I’m going to start with participating in two monthly linky parties – that I'm sure will help me bust some UFOs. 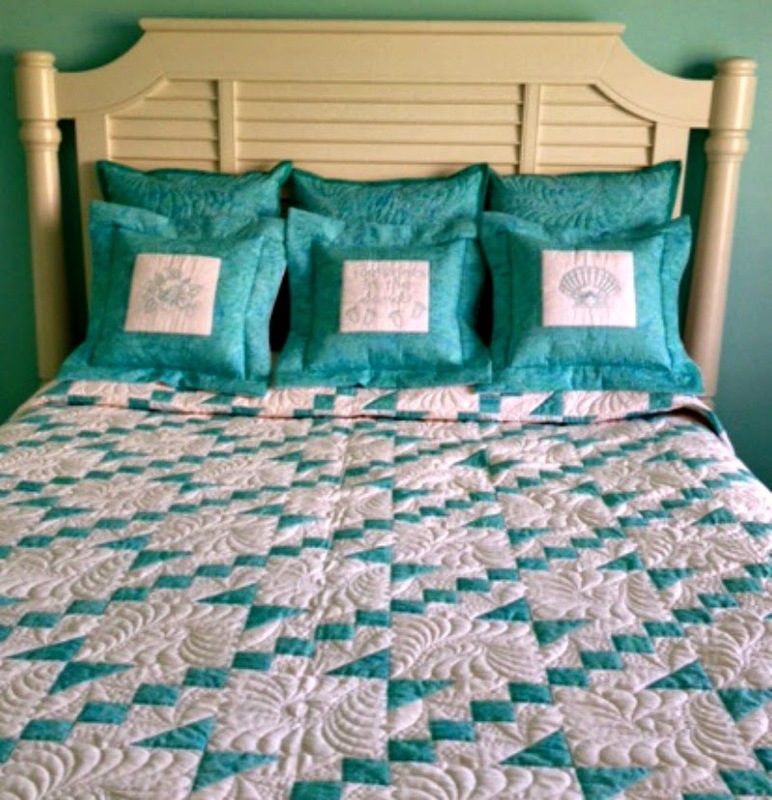 The first one is One Monthly Goal (OMG) hosted by Patty at Elm Street Quilts. The second one is 17 UFOs in 2017 hosted by Meredithe at pomegranate and chintz. Today I’m going to share what I plan to accomplish for the January OMG and then tomorrow I’ll share my 17 UFOs in 2017. I still have to take photos for that one. 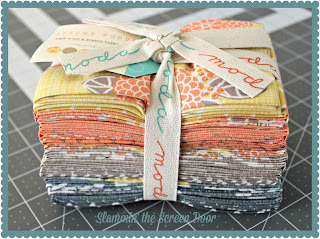 This is something that I want to finish piecing, quilting, binding and labeling for enjoyment in February. I’ll share the finish (YES! I must finish) at the end of the month and include all of the details. It is an overcast dreary day in southeast Florida today. Could it mean we may get a break in the heat? It certainly hasn’t felt like winter here, even by our standards.